Something odd is happening in the Green Forest. Sammy Jay is told by the little people of the Green Forest that he is keeping them awake at night with his calling out “Thief, Thief”. But Sammy isn’t calling out at night, he’s been sleeping. At least, he thinks he has. Sticky-Toes the tree-toad is hearing his own voice when his mouth is shut, and he is angry and puzzled. And Unc’ Billy Possum thinks he may just have seen a friend from Ol’ Virginny who might possibly solve the mystery. 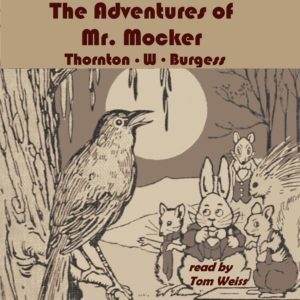 A Thornton W. Burgess story of mischief and forgiveness.